Even amongst the sea of ambitious cryptocurrencies, Ripple is one that stands out. It isn’t quite the same as Bitcoin or Ethereum, though they all have similar goals. And in recent months, its valuation has been rising steadily. But why? Imagine a world where your financial payments and transactions are conducted instantaneously and at almost no cost. That’s the kind of world Ripple wants to create. 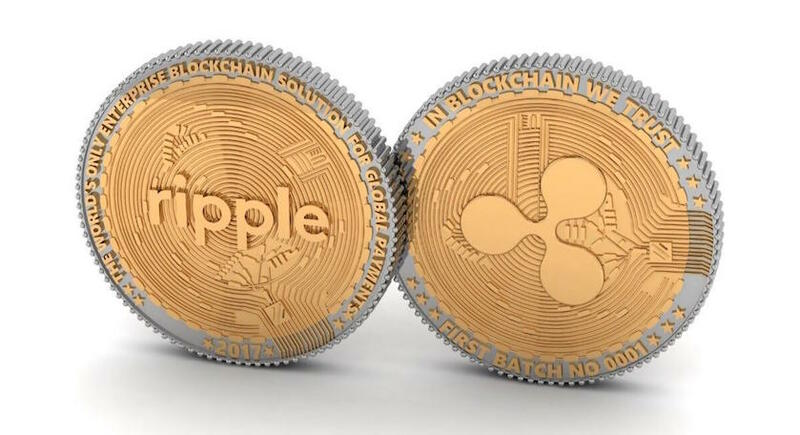 While other coins are attempting the same, Ripple distinguishes itself in that it has already partnered with major banks across the world, as well as Internet Service Providers and the Massachusetts Institute of Technology. Launched in 2012, Ripple wants to make global payments more convenient. Of course, every coin says this, but it’s different in that it’s more of an enterprise solution to the problem. It facilitates exchange and payments. Unlike its competitors, it’s known more for its payment protocol than the Ripple cryptocurrency itself. If you’ve ever tried to carry out transactions to someone across the world, you’ll know that the process is fraught with problems. It’s very slow, often taking 5 days to reflect in the recipient’s account. It is also occasionally subject to failure. Perhaps most significantly, it’s an expensive process – the transaction fees for global payments total up to over a trillion dollars every year. So there’s good reason for a new system to be introduced. And Ripple has answers to these problems. Blockchain technology allows for near instantaneous transactions and transparency in transactions. It also brings down the cost greatly. RippleNet, the platform offered, connects banks, payment providers and digital asset exchanges are a smooth way to carry out global transactions offering all of blockchain’s benefits and then some. In a regular transaction system, for two parties to send and receive money, a middleman is required. This middleman ensures that the right protocol is followed and verifies the recipient’s authenticity. And for their services provided in the process, they take a cut of the fee. The transfer actually takes place between the middlemen in the process and the original and sender receiver settle debts with these middlemen. This is a drawn out and expensive process. Ripple’s gateway system allows any individual or businessman to create a gateway on the platform that allows users to directly make transfers on the platform. A registrant can be authorized to act as a middleman who carries out exchange, liquidity maintenance and so on. Ripple’s currency, XRP, accepts payment in any form and does not discriminate between different cryptocurrencies or even regular currencies for that matter. If you’d like to make a payment to someone in USD or JPY, you could do so. The platform will accept it and the converted amount will appear in the recipient’s wallet. The gateway essentially acts an as intermediary. Ripple’s team is a powerhouse of financial industry veterans and blockchain experts. The company’s CEO, Brad Garlinghouse, was the former CEO of file sharing site Hightail, and has worked in managerial positions at AOL and Yahoo. His work experience is varied and coupled with his active investments, it bodes well for Ripple. Stefan Thomas is the CTO, who is also working on a protocol called Interledger, which aims to connect the blockchain ledger with other ledgers. Other members of the team include Marcus Treacher (Global Head of Strategic Accounts), Antoinette O’Gorman (Chief Compliance Officer) and Ron Will (Chief Financial Officer). All in all, the team looks solid and capable of making Ripple a global enterprise solution. Like all coins, there are both positives and negatives with Ripple. Fortunately, the cons are minor compared to its benefits. They are not obstacles that will grind Ripple to a halt, but they are issues that need to be addressed if Ripple is to grow. Ripple’s biggest pro is that it is expediting global liquidity of currency through its fast payments and low processing fees. It can already execute 1000 transactions per second, which is much faster than most of its competitors. There is almost a near zero latency in transactions because of their PayChan feature. Transactions made through PayChan occur at a fraction of the cost of credit card transactions. Here alone, Ripple could save billions of dollars in expenses. Ripple’s inherent design allows for infinite scaling. If you don’t know, scaling is a serious blockchain issues that deals with how a blockchain technology is going to deal with an increasing number of users. This continues to be a problem, even with mature coins like Bitcoin and Ethereum. While many developers are working on this problem, none have a truly comprehensive solution. Rippled’s InterLedger protocol allows different blockchains to work together – a clever solution to the scaling problem. What this does is that it permits transactions to be carried out across different ledgers. Instead of dealing with the increase of one ledger, why not let information flow across different ledgers? It’s similar to the early protocols that were established to help the Internet’s infrastructure grow. In terms of practical value, this is possibly Ripple’s biggest advantage. Over 100 banks have teamed up with Ripple and this puts them in the right spot for them to be the number one digital assets payments system. Banks know the value of having zero latency and instantaneous payments and by working with Ripple, they themselves stand to gain. It also serves as internal exchange mechanism for banks and financial institutions, selling Ripple directly to them so that they can conduct global payments. If you’re transacting on an untrustworthy gateway on Ripple, there’s a chance you could lose your coins. If you’re holding coins on this gateway and the other party doesn’t follow through on their obligations, it puts your stake at risk. Ripple is working their way around this problem. Trustworthy gateways will be certified as so and multiple gateways can be used to established a multi-level method of trust. Most cryptocurrencies offer a great degree of anonymity – though none are perfect. Ripple, however, offers a lesser degree of anonymity. Efforts are being made to make Ripple a fully anonymous currency, though don’t count on it happening in the near future. Another negative aspect of Ripple is that the company itself owns 63% of all coins, which means they control the prices. One of the most appealing things about cryptocurrency, at least to the general public, is that the direction in which the coin goes is dictated by users, not single entities. Ripple’s large hold on the coin circulation has put off some cryptocurrency enthusiasts. It’s not very complicated to buy Ripple cryptocurrency. Ripple is hosted on a number of exchanges, including BitStamp, Kraken, GateHub and CoinOne. It’s available on over 10 exchanges, so you have a lot of choice. The general process by which you buy coins is largely the same across these exchanges. Some of them allow only certain pairings of trade. For example, on BitStamp, you can buy Ripple with dollars, euros and Bitcoins. On Kraken, you can only do so with Bitcoins. After you’ve created an account on one of these exchanges, you’ll have to verify your details. This is a quick process that won’t take more than a few days. The next step is to deposit funds. Once these funds show up in your account, you can purchase Ripple coins. On exchanges such as Kraken, where you can only purchase with Bitcoins, you’ll have to buy some Bitcoins first before exchanging it for Ripple. You’ll find Bitcoins on every exchange and you can buy them with dollars or euros. Buying and storing cryptocurrency deserves a post of its own. It’s easy to get started, but you’ll find that as you become more knowledgeable about cryptocurrency, you’ll want to find a wallet and exchange that’s most suitable for you. To a beginner, that can be daunting. For the moment, however, using one of the aforementioned exchanges should be enough to suit your purposes. You’ll get the hang of things as you gain more experience. To store any cryptocurrency, you’ll need a digital wallet. Wallets come in any many different types, some are offline, some online. Some are also more secure than others. Check out our full guide to cryptocurrency wallets to find the best one for you. If you’re thinking of holding cryptocurrency for a long period of time, then you’ll want to use a hosted wallet service. We’ll take GateHub as an example. In order to have an active wallet address, Ripple requires you to make a one time 30 XRP deposit. Once you’ve created and verified you GateHub account, go ahead and do this with the XRP you’ve purchased. You can also transfer XRP from exchanges to your hosted wallet service. All you need is the wallet address, which you can get from your GateHub wallet page. Ripple is currently valued at an impressive $1.01. For most of 2016, they remained at a comparatively low value of $0.05. In 2017, with the numerous partnerships they established, such as with Santander, they saw a rapid spike to their current value. Incredibly, it has jumped by 4300% in value in this year alone. 2017 has been a very good year and there is no forecast of a drop in value any time soon. It holds $40 billion in market cap. But what about the future, you ask, will Ripple succeed? While nobody has a crystal ball, it’s fair to say that Ripple is an excellent position to survive in the long term. Over 60 banks are working with Ripple and the United Arab Emirate’s largest bank, the NBAD, has already integrated Ripple into their infrastructure. Any venture needs enterprise partnerships to achieve global significance – the tech industry is an excellent example of this. Microsoft has gained so much traction only because it pitched itself to businesses before customers. The general consensus is that Ripple will become a mainstay in the cryptocurrency market. Financial payment systems are woefully obsolete in this modern era of technology and trillions could be saved if it could updated. Both banks and users have incentives to use Ripple, which is a good reason for it to thrive. That said, Ripple does have a few issues to sort out before it can fully win the hearts of the community. Cryptocurrency enthusiasts see it as a coin whose growth is largely dictated by the company itself and to them, that’s a turn off. The payment system is not completely foolproof either and better protection systems are required if it is to go fully global. Personally, it seems that Ripple will rise much higher in value. It has already hit the $1 mark. $2 is likely in 2018 and $4 – 5 is optimistic. The reason why we even list that hopeful range of $ 4 – 5 is because the cryptocurrency market in general is growing at an exponential pace. It is unlikely that Bitcoin will be the only coin to boom. Once the initial mania around Bitcoin fades, the public will see that there are other coins to consider, and top among them are coins like Ethereum, IOTA and Ripple. Ripple’s place in the financial industry will arguably put it into a better position to rise than other popular coins in the market. If you’re considering Ripple as an investment, go for it. It is only going to rise in value in the upcoming years. They are constantly upgrading the system and pulling in financial institutions to use their platform. The clear purpose – to improve global transactions – with which they are working gives them a better sense of direction than other coins. Of the top coins on the market, it is one whose use cases give it something of a safety net. Ripple shot up in 2017 and that trend will continue in 2018. If you want to get in on the game, now is the time to do so, for 2018 will see the value double or triple. It is both an excellent short term and long term investment.